Royal Caribbean introduced the ultimate dining package for guests to purchase in early 2017, which offers the opportunity to dine at specialty restaurants throughout your cruise for a fixed price every night of their sailing. Plus, they can also eat lunch in specialty restaurants on sea days. Seeing this option, many guests wonder how the package actually works, and if the ultimate dining package is worth it. This primer is aimed at explaining the ins and outs of Royal Caribbean's ultimate dining package and making it easier to understand overall how it all works. Royal Caribbean offers its guests the ultimate dining package, which promises a specialty restaurant dinner each night (plus lunch on sea days) for a fixed price. This fixed price is cheaper than trying to book each restaurant individually at the restaurant's listed price. 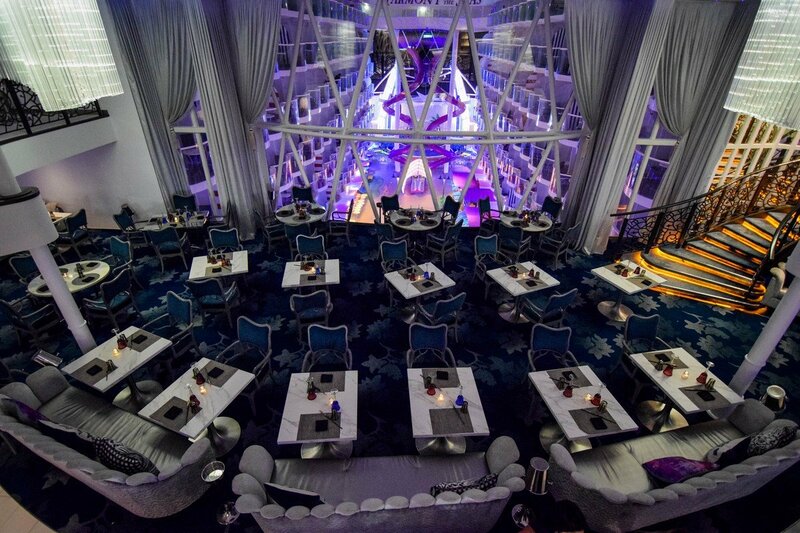 Specialty restaurants constitute the additional cost restaurants on a Royal Caribbean ship, where there is a cover charge or a la carte fee for guests that choose to dine there. The exact cost will vary from ship to ship, but each specialty restaurant charges each guest that elect to dine there for the meal. The ultimate dining package will include the cover charge for a specialty restaurant, or provide a stipend for restaurants that charge per item ordered off the menu. Alcoholic beverages and certain items on the menu may not included in what the ultimate dining package provides (i.e. dry aged steaks at Chops Grille). Guests may not make individual specialty restaurant reservations until they are onboard the cruise ship. Royal Caribbean will make an automatic reservation for the first night on behalf of the guest, but guests may change that restaurant or time once onboard (subject to availability). Guests can purchase the ultimate dining package via the Royal Caribbean Cruise Planner site prior to their cruise. A package must be purchased for each guest that wishes to take advantage of the dining package offering. Parents should not purchase an ultimate dining package for children because kids enjoy a discounted price at specialty restaurants. Once purchased, the dining package will associated with each guest's onboard account. Guests simply need to tell their server they have the dining package, and the waiter can apply the package benefits to the bill. Onboard the cruise, guests could (and should) make reservations for each restaurant as early as possible. There is usually a designated time and place for guests with dining packages to go to on embarkation day to make all the dining plans they need. This is much more convenient than going to each restaurant and making reservations individually. Moreover, making reservations on embarkation day will afford the greatest selection of days and times for meals. The exact cost of the Ultimate Dining Package will vary from sailing to sailing, but we have largely seen a $24 per day, per guest rate ($168 per guest for a 7-night sailing). Specialty Dining Packages must be booked at least two days prior to boarding and may not be available for every sail date. Packages include service charge and food portion only for dinner and, when available, lunch service. Package valid for one specialty dining restaurant per meal. Beverages not included. For restaurants with a la carte pricing, you will receive a $50 food credit. 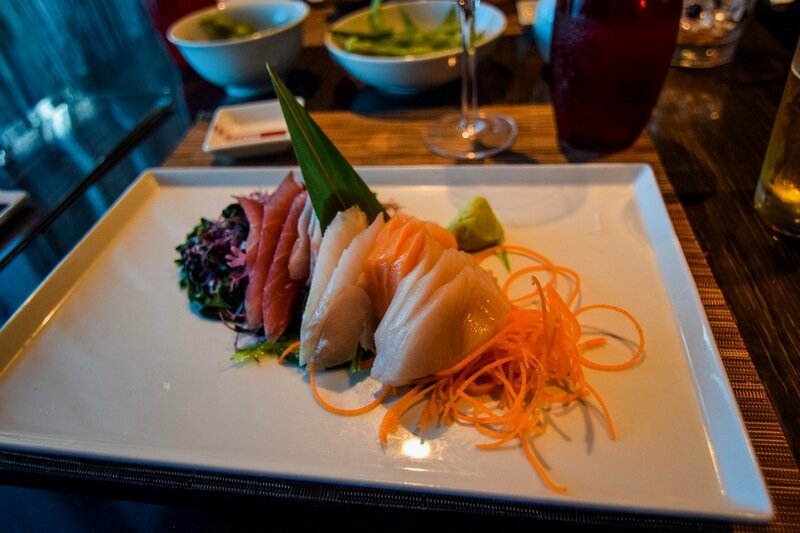 The ultimate dining package is not valid for Chef's Table, Izumi Hibachi, or Culinary Experiences/Activities. Guests will receive 20% off when booking Chef's Table and/or any Culinary Experience/Activity onboard. Children ages 6-12 can be added to reservation for a $10 cover charge once onboard. Having used the ultimate dining plan, it has the potential to save a lot of money and allow guests to enjoy their favorite restaurants onboard a Royal Caribbean ship without much hassle. There are certainly benefits and disadvantages to the ultimate dining plan, and here they are. Savings: Overall, Royal Caribbean's ultimate dining package can save you a lot of money compared to trying to dine at the same amount of restaurants individually on a cruise. In fact, it represents a significant potential savings. At $24 per day, per guest, the daily cost of the dining package is often much cheaper than the cost of specialty restaurant cover charges. Which restaurants you choose to dine at is up to you, but here is an example from a recent Harmony of the Seas sailing to illustrate the savings potential. The exact savings will vary, especially if you skip meals or opt to dine at specialty restaurants with a lower or higher cover charge. In addition, the $50 stipend at Izumi is a lot of money per person. Even as an avid sushi lover, I found myself order much more food than I would have if I was paying out of pocket. Amount of food: One issue with the ultimate dining package is guests end up getting much more food than they might have otherwise wanted/ordered. 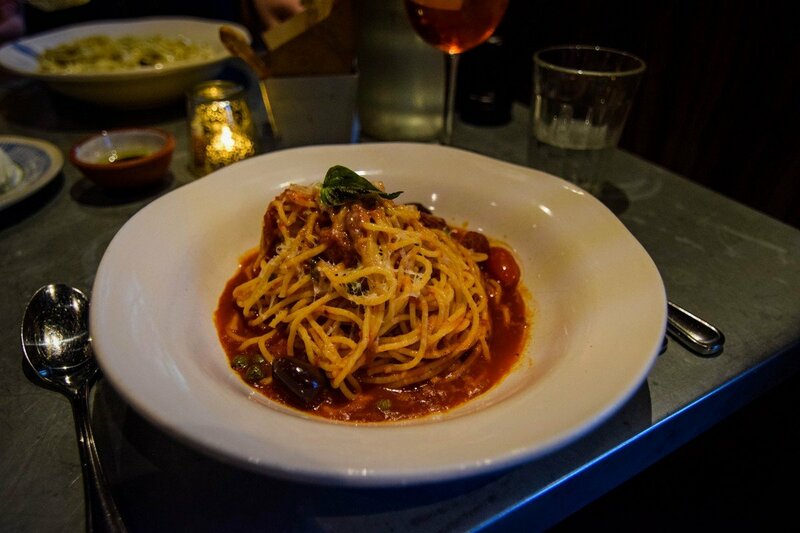 Dining at a specialty restaurant up to twice a day means you will access to a lot of food. 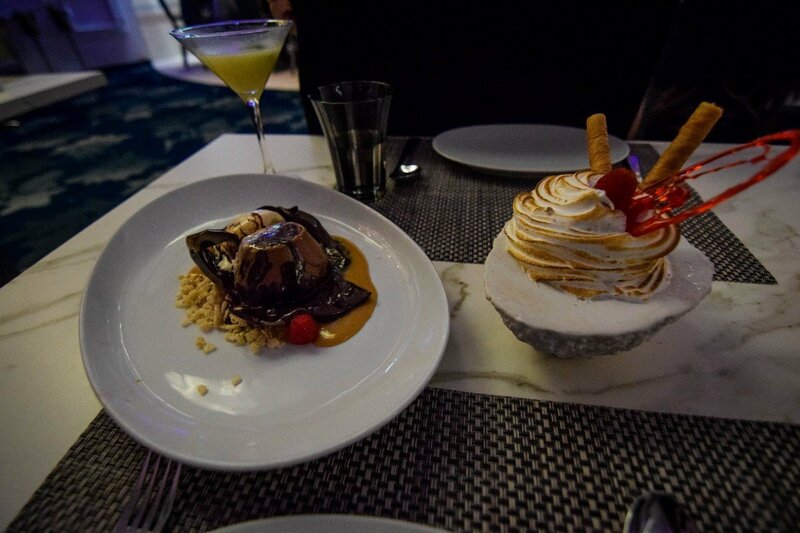 While I consider myself a big eater, at times, the ultimate dining package felt like I was getting too much food. There have been occasions when I otherwise would have just grabbed something small at the Windjammer or Park Cafe, but because I had the dining package, felt obligated to eat at a specialty restaurant to take advantage of the package benefits. This was especially true at lunch. Not only did this result in over-consumption, but it also burned valuable vacation time. For longer cruises, spending time in a specialty restaurant may not be a concern since you have more time to enjoy. Plus, the wait staff are fairly responsive to requests for an expedited meal. While you can get value out of the ultimate dining package, that savings requires sitting down for longer meals and eating a lot of food. If you do not normally eat as much food as the ultimate dining package provides, you are not actually saving money–the savings are illusory. You are over-consuming in the name of (false) savings. It is worth noting that how much you budget for specialty dining depends on how much you might otherwise like to enjoy specialty dining. There is a plethora of really good complimentary food on a Royal Caribbean cruise. Specialty dining has long been regarded as a great way to augment your dining experience, and not necessarily replace it. 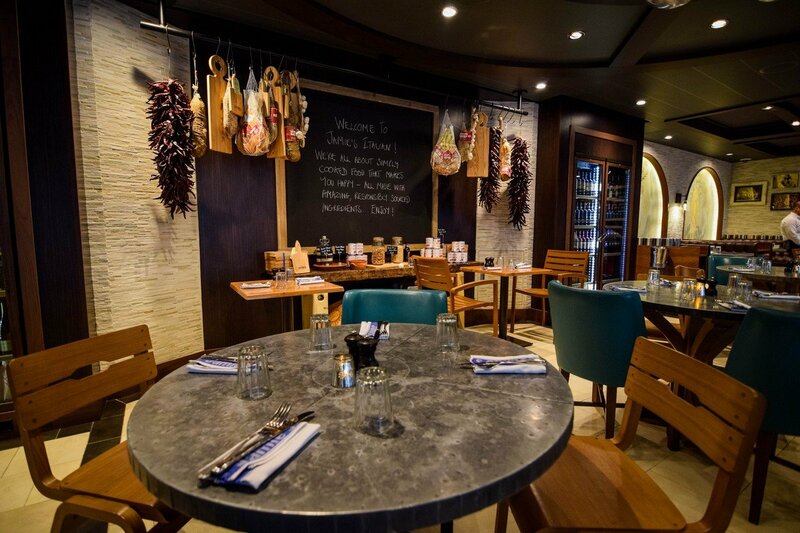 On Royal Caribbean's newer ships, specialty restaurants have become more and more prominent, but we are firm advocates of the complimentary food found in the main dining room, Windjammer and other locations. It is important to have an honest conversation with yourself about how much specialty dining is important to you, and if you really want to dine at one restaurant every evening, or if one of the other dining packages may more more logical sense. Budgeting: Guests can pre-purchase prior to the cruise and break up the total cost of the cruise experience. From a budgeting standpoint, this can make affording a total cruise vacation much simpler to manage in the long run. In addition, going to the specialty restaurants and ordering whatever you like and walking away with a bill for $0.00 does feel really good. This is especially true if you want to focus more on the cruise experience and not worry about cover charges and what your final bill at the end of the sailing may look like. Not having to think about money on vacation means a lot to many guests. Convenience: There is no question having the ultimate dining package adds a great deal of savings, but it comes at the expense of some convenience. We mentioned earlier the importance of making reservations for each restaurant on embarkation day. By purchasing a dining package, you trade the ability to reserve a specific restaurant and time for the additional savings. Royal Caribbean offers this because it ensures a baseline commitment to onboard spending at their dining venues. Essentially, it is a safe bet for Royal Caribbean to have you pre-pay, rather than let you book on your own and opt out of specialty restaurants later in the cruise. As a result, guests will have to wait for embarkation day for their first chance to make a reservation. While you can certainly show up to any specialty restaurant and asked to be seated, reservations are recommend by Royal Caribbean and by us. 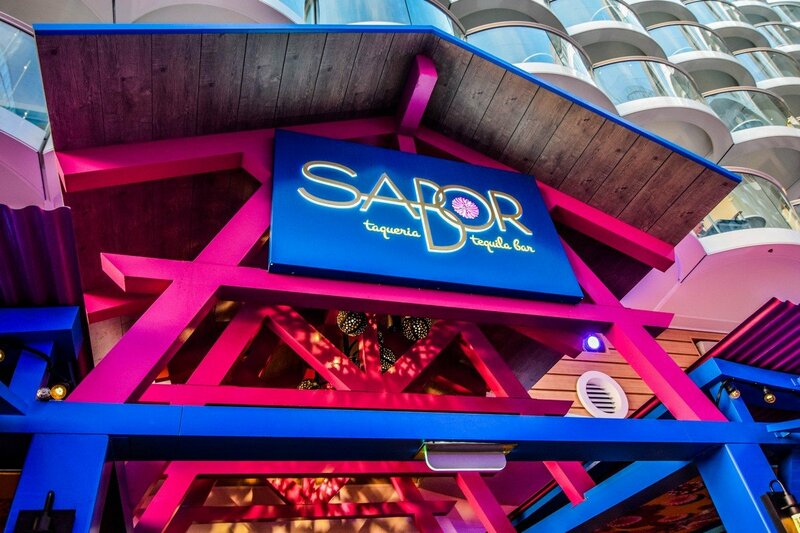 Specialty restaurants on Royal Caribbean ships are small, and reservation times go quickly. In fact, as the cruise goes on, availability overall drops precipitously. Your best bet is to make all (or as many as you can) reservations on embarkation day while there is the most amount of tables available. Be sure to reference the show schedule for the week to ensure the times you select for dining line up with the shows you want to see. The biggest issue we ran into with the dining package is realizing the dining times we made earlier in the cruise, conflict with a show or other activity we had planned on attending. Last minute changes to reservations are possible, but frequently can be an obstacle. Overall, whether Royal Caribbean's ultimate dining package is right for you is a highly personal decision based on a lot of variables. It is doubtful most guests on a Royal Caribbean cruise even want to eat a specialty restaurant each evening of their cruise, but there are some cruisers (especially veteran cruisers) that relish the opportunity. The ultimate dining package has the potential to save guests a lot of money, but it requires some planning and follow-through once onboard the ship. On Royal Caribbean ships that have a number of specialty dining venues (i.e. 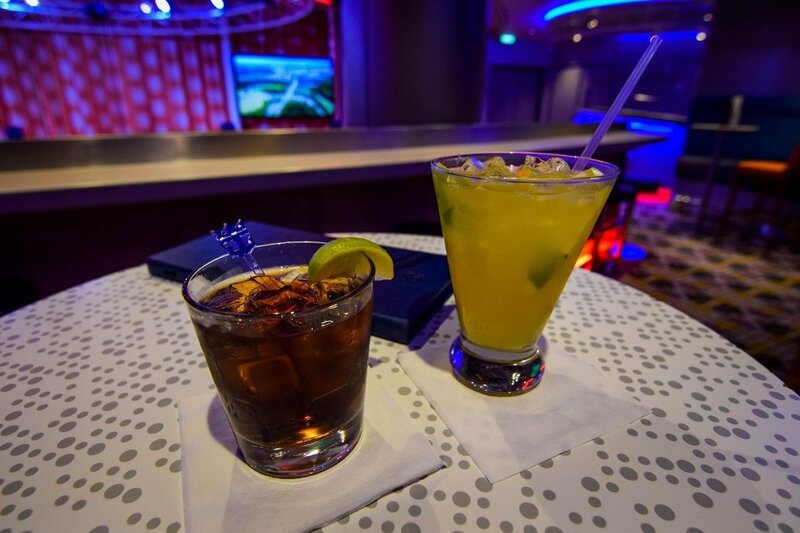 Oasis and Quantum Class ships), the ultimate dining package can be a tantalizing choice. This is especially true if you are new to this class of ship, and wish to experience the various specialty dining available. The cost savings combined with greater variety of choice is a powerful combination. However, we stress that while specialty dining is a fun way to augment your cruise experience, it is absolutely not necessary to completely replace the great food served onboard. In fact, prior to the advent of dining packages, most guests sprinkled in specialty dining to their cruising repertoire. The decision to purchase the ultimate dining package comes down to your desire to enjoy a lot of specialty dining at a reduced cost, with the understanding of having to plan your dining schedule once onboard. 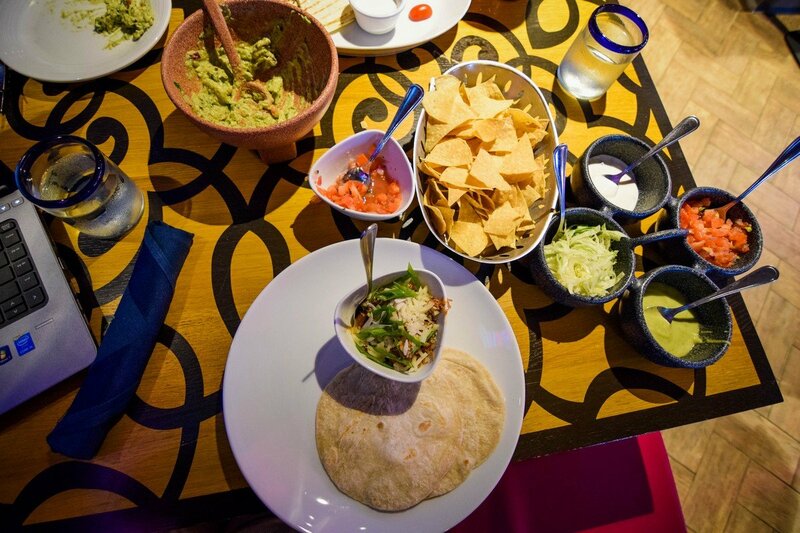 Have you tried the ultimate dining package yet? Thinking about using it? We would love to hear your thoughts about Royal Caribbean's ultimate dining package, how it works-or does not work-for you, in the comments! If you have any questions, ask them there, too.